In order for movies to be shown on television, they would cut the sides of the image, and pan and scan to where most of the action was. Hence, pan-scan. 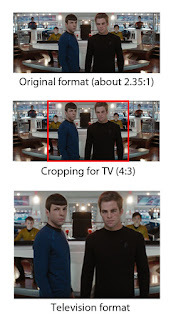 In the image above, you can see how the background crew members are cut out of the picture. Along game letterboxing, this gave you the full image of the movie. 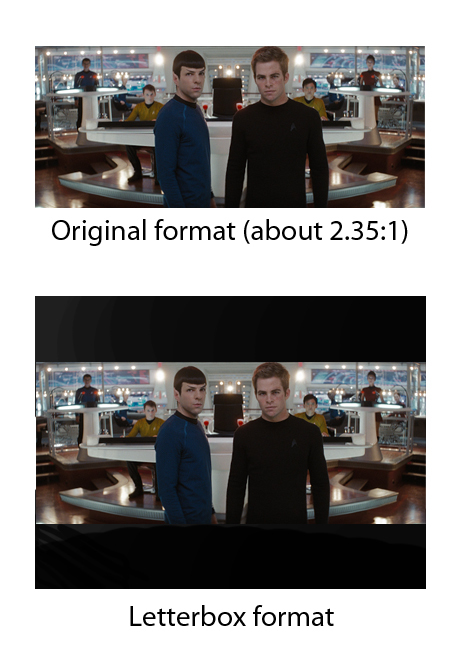 Since it was wider than the 4:3 format, black bars graced the tops and bottom of the screen. This lead to the misinformed that they were missing what was 'behind the black bars'. This was a clean solution to getting the entire frame on to the screen. Now, we have wide screen televisions. These new sets are formatted at 16:9, broadcast has gone digital and high definition. 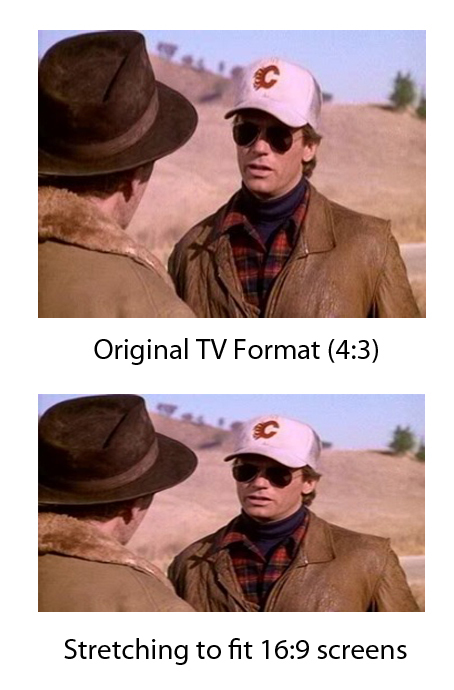 Depending on the format of the original movie, you may still see black bars, though not as thick. While television programs have adapted the wider format. Heck, some of you are fancy enough to have one of those new 3D screens to experience 3D movies and even 3D broadcasts. So, yeah...you know this already. What is the problem you ask? The black bars are the perfect solution and the standard to cropping different formatted films/programs to adapt to different formatted screens. 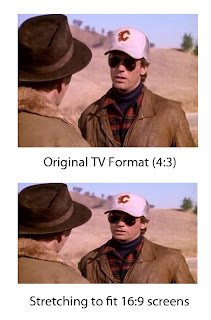 The problem is when studios show older 4:3 programs or footage on a 16:9 screen. There is no set standard to this, and there should be. I say bring back the black bars. 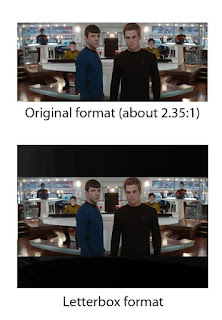 An early remedy to fitting the 4:3 image into a 16:9 screen, was to stretch it. This made the image about 20-25% wider. People on screen gained another ten pounds, in addition the ten the camera adds. Although this was not ideal, it is better that what most television studios are doing with older footage, the blurry background. See the image above? That is annoying, just looking at it makes me want to mount some black illustration boards to my television screen. I will admit, I used to do that on an older TV set to create the "letterbox" look. Anyway, I know you have seen this blurry border, it is used a lot in news casts when they need to show archival footage or amateur video. What makes this horrific is, this is video...there is movement. The movement in the blurred area is annoying and very distracting. It totally takes away from the action. These blurred bars are far more a distraction than the letterbox black bars ever were. Back to the widescreen arguments, the argument was that pan-scan reformatted the movie and did not represent what the film makers wanted the audience to see. 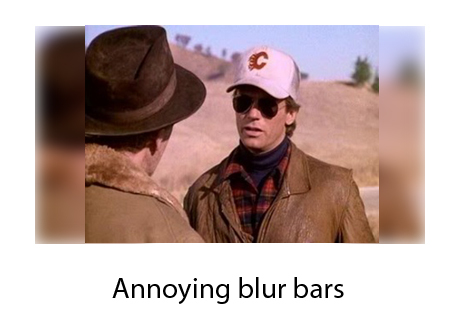 Well, these stupid blurred bars are far worse. Not only is it a misrepresentation of original work, it creates movement, distractions, where there is/was never any movement. I hate this, it is down right stupid. Combine this crap with the shakey cam and you have yourself a seizure waiting to happen. What I do not understand is, why not just put up vertical black bars? Now, some studios have created logos to adorn the sides, and this is fine, as long as they do not have any movement. ESPN does this well, or did this well. I do not have cable, so I know not of their current format. 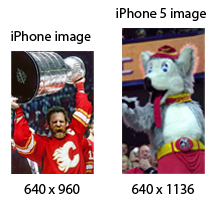 Anyway, they used to have their logo on the sides. I have seen some with scores and other information on the sides, much like the scrolling scores on a typical ESPN broadcast...all good. 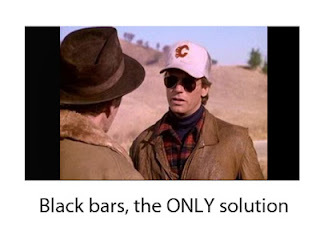 The black bars was and is the only solution studios should use. Seriously, how hard can it be to add black bars? I would argue that it takes much more effort to widen footage, blur footage, place blurred footage behind existing footage. Write to the studios, write to your congressmen, and help stop this madness. I have done my part to in writing this and bring this to your attention. I bet this did not even bug you until I brought it up. See, you have been brainwashed by the man. Fight the system....free your mind. Update: I forgot to add this to my rant. 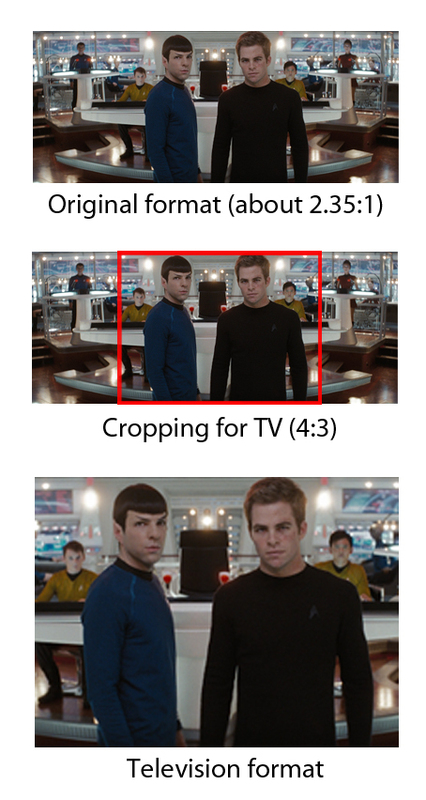 This problem is compounded when studios show footage of amateur video, especially one shot on smart phones. I have already covered the inability to hold the camera still. 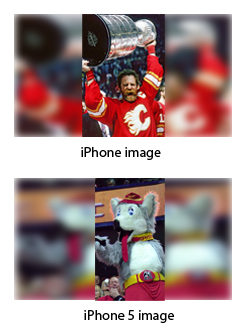 The way phones are held in the hand, photos and videos are usually shot in portrait (vertical), rather than landscape (horizontal). There, see? Do you see how distracting that is? Again, imagine if this was video. You have two blurred moving images on the sides, while you are trying to see what is really happening with the image in the middle. 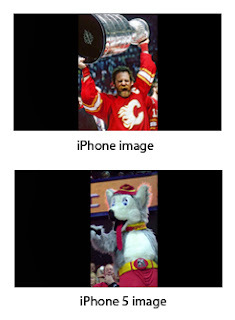 Note the clean and non-distracting images when black bars are used. Yes, you still have two thirds of the screen blacked out, but at least it is not taking away from the action. I remember trying to explain this to my mom over a decade ago. It's quite frustrating. I think the decision-makers at the networks and whatnot probably had mothers like mine. They probably thought ALL people didn't understand the black bars and therefore tried as hard as possible to avoid them. Idiots.